Looking for violin lessons in Singapore, to learn how to play the violin easily, enjoyably, and enchantingly? 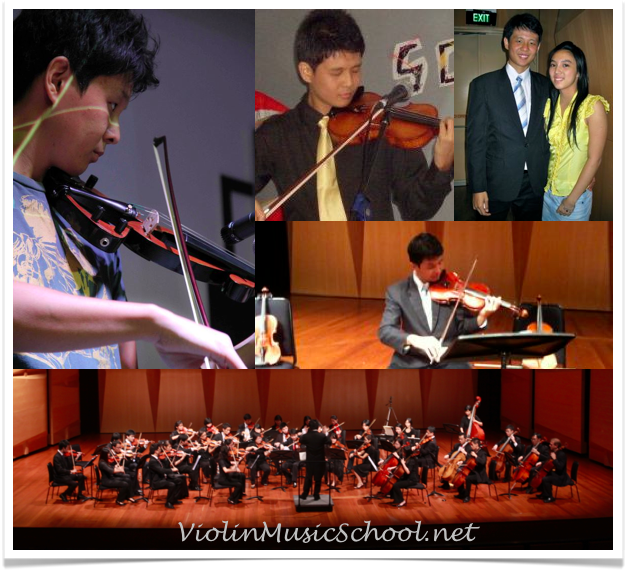 Are you looking for violin lessons in Singapore, and to learn how to play the violin from an experienced teacher? Look no further, as you might have found the violin lessons you’re looking for! Violin is a beautiful instrument, played by people of all ages, all around the world. Many people want to have violin lessons, but not knowing how to go about doing it. Should you go through an music agency to source teachers for you? Should you enroll into a music school? Should you engage a private violin teacher? No doubt there are many ways to start violin lessons in Singapore, but hey, since you’re here, check out your experienced violin teacher here! HI, I’m Marcus, also the founder of ViolinMusicSchool.net. 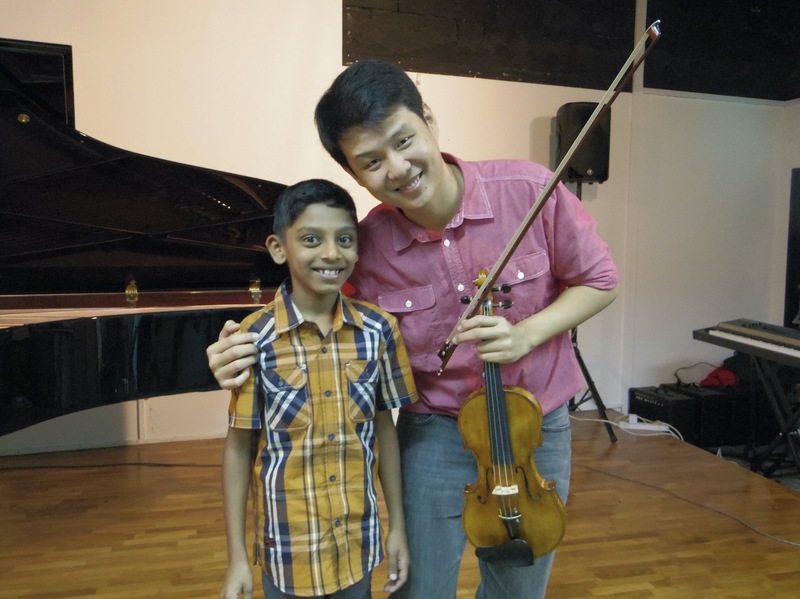 I have been giving violin lessons in Singapore for more than 8 years, and have taught numerous violin students, ranging from a 6 years-old boy to a 42 years-old mother. I conduct graded violin lessons to prepare students for examinations, and also leisure adult violin lessons, to fulfill the dreams of students playing their favorite pop song on the violin confidently. I played in the NTU String Orchestra and The Millennial Orchestra previously too. Outside of my lessons, I also play the violin in his church, my friends’ wedding, and various public venues, either as a solo or accompaniment. I also love to record violin music covers of popular songs, and showcase them on Youtube. It started as a ‘trial’, but I didn’t know one most popular violin cover “A Thousand Years” has already hit more than 20,000 views. Would you like to master graded violin exams? Would you like to play your favorite pop/classical pieces? Different students have different learning needs, and that’s why we customize the lessons according to your needs. That’s the benefit of private violin lessons! Warning! Violin is a great musical instrument, but learning it is not as simple as it seems. The fact is, 90% of violin learners quit after the first year because they find it boring and hard to learn. That’s why, we teachers have to make it fun and enjoyable. I always like to conduct classes in fun and energetic ways. Students in my classes are fully involved throughout the lesson. After years of teaching, I also realized students learn best when they are in a relaxed state. Teaching with bits of humor will help students to learn better and retain longer. I don’t believe in rote-learning, forcing students to practice multiple hours a day to improve their skills, because that’s the fastest way to kill the joy of learning and make someone give up the violin. I practice smart teaching and learning, and adopt a disciplined way to guide students to enjoy practicing, and improve their playing too. Being a trained public speaker has also allowed me to simplify difficult text-book concepts and music theories. This has helped students to understand better, and retain their learning longer. Ultimately, what differentiate my violin lessons as compared to many other lessons out there, is the focus on performance. I prefer my students to be performance-focused than examination-focused. From my experience teaching in one of the major music centres in Singapore, I realized that there are far too many students who learn violin go for the paper chase, taking exams one year after another (encouraged by the music centre), but miss out on the performance aspect of violin learning. Constant focus on exams and grades has stressed out many kids, and also killed their joy of learning the violin. I believe that violin students should be given the opportunity to perform, and learn to build up their stage presence and confidence. After all, music is all about performance (and not about exams!). When students are able to perform confidently, they have no issues handling music examinations. To help students build up their confidence performing in front of an audience, our school organizes concerts and open the stage up for his violin students to perform. This will give them the stage to gain stage experience, and perform in front of an audience. In some instances, we also work with other music teachers to increase the exposure of music performance to our students. 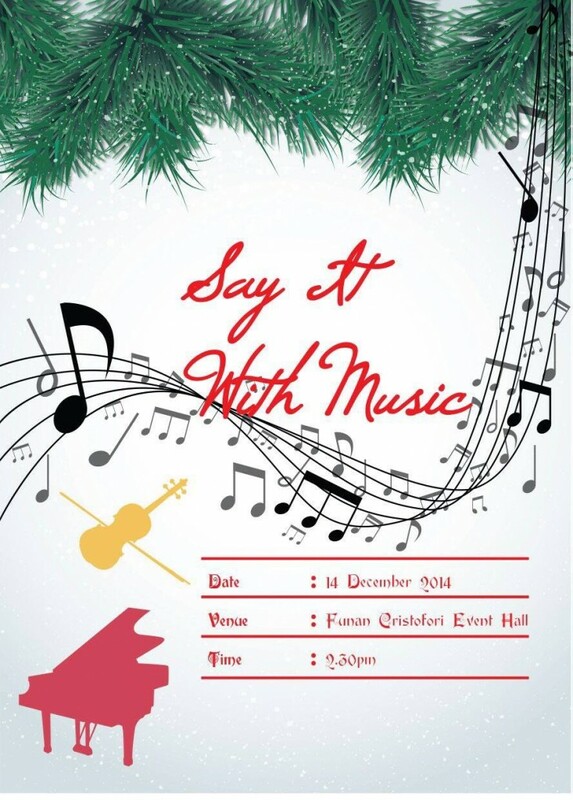 One of the concerts that we organized is the Say It With Music Concert 2014. 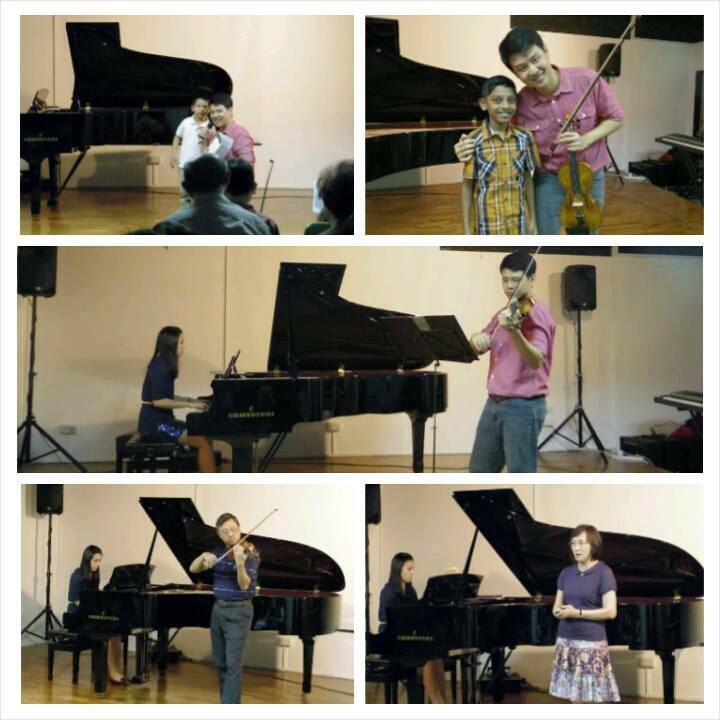 The concert was organized together with piano teacher Valerie Chan (my wife). As both music teachers, we provide a stage for all our students to perform, as students get to experience performance from another instrument as well. How about the audience? What more could be better than having the support of our loved ones to watch us play? The performances of every student is also recorded for evaluation, and also for memory. Students will be able to see how much they have progressed when they look back at their performances again few years later. Here are some of the concert highlights of Say It With Music 2014. Am I The Right Violin Teacher For You? Erm… not really yet? It’s okay. You can drop me a message in the form below to find out more about the violin lessons! 1. Where are the violin lessons conducted? 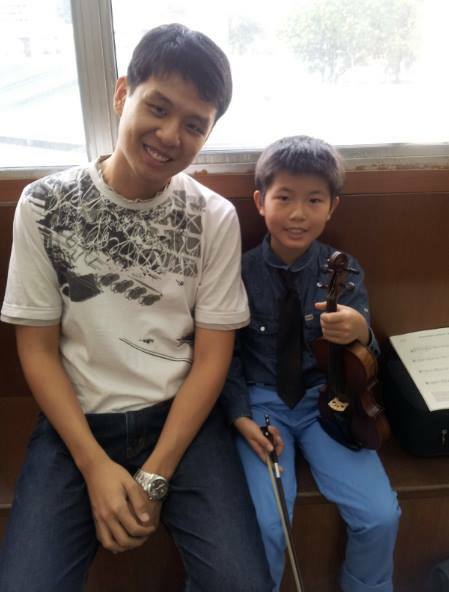 Marcus conducts private violin lessons at his home studio at Pasir Ris (just opposite Downtown East). However, at some students’ requests, he also conducts lessons at the students’ home in the east of Singapore, which includes areas – Changi, Tampines, Pasir Ris, Simei, Tanah Merah, and Bedok, but do note that transportation charges applies. 2. Does Marcus conducts violin lessons outside East of Singapore? If you stay outside the east area, don’t worry. Marcus works with experienced violin teachers as well and interviews them extensively before inviting them to join his teaching faculty. Marcus can refer to you violin teachers who can also give violin lessons in the North, South, West, and Central of Singapore. You can find a teacher here. 3. How long is each violin lesson? The length of the one violin lesson vary from 45 min to 60 min, depending on the level of the students. If the student is preparing for examinations, lessons may be extended to 90 min too. 4. I want to learn the violin, but don’t want to go for exams. I just want to learn my favorite pop song. Can you teach me? What makes Marcus stands out from other violin teachers is his expertise in teaching both classical and pop violin pieces. He can play by ear, and transcribe pop songs into playable violin notes which makes the song easy to play on the violin. 5. Can you help me get my violin, and other learning materials for me? Marcus works with a reputable music school and violin shop in Singapore which provides quality violins at competitive price. He can also get learning materials (music books, exam pieces, workbooks…etc) at discounted prices for you. 6. What are the rates for the violin lessons? Violin lesson rates are determined by the type of lessons (graded/leisure), lessons level (beginner/intermediate), and venue of lesson. You can find out more about adult violin lessons and kids violin lessons here as well. 7. I have other questions for Marcus. How can I contact him directly? You can contact him via the contact form below. The email will be forwarded to him, and he will reply you within 24 hours. 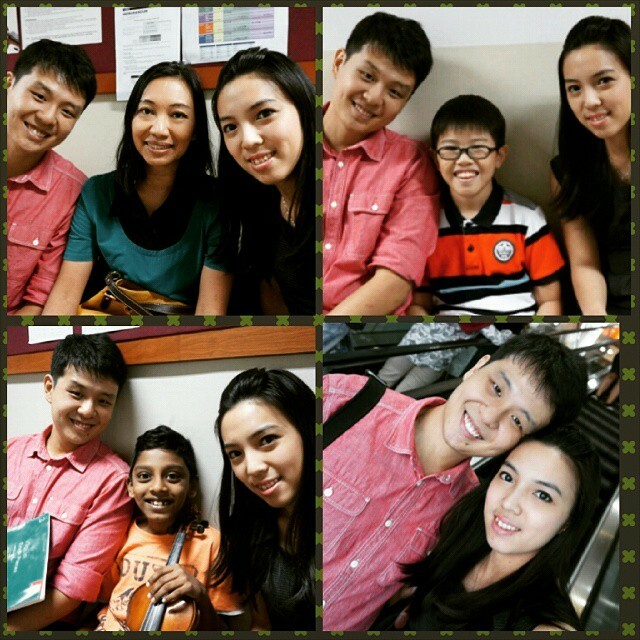 More questions on having violin lessons in Singapore, contact Marcus today.